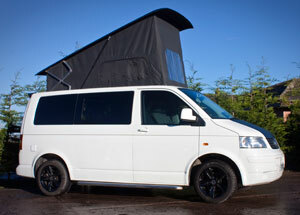 Affordable Campers are your local independent campervan hire, sales and conversion specialists in Preston, Lancashire. From our unit in Preston our professional team of installers, with many years experience and training, produce camper van conversions and leisure vehicles using the highest quality materials. All our documentation complies with the latest DVLA regulations, we are ATA Approved - and all our work comes with a 10 year guarantee! At Affordable Campers we take the time to fully understand your personal requirements and budget to provide a quality campervan to meet your specific leisure needs - and we have a large selection of trim, finishes and glass to choose from to provide a custom feel. Please contact us and we will be happy to discuss your requirements. Although we are Volkswagen Transporter and VW T6 T5 Conversions specialists we can convert any make, model or age of van or vehicle including Mercedes Sprinter conversions, Ford Transit conversions, Citroen, Vauxhall, Toyota, Nissan, Peugeot, Renault, Fiat, Iveco and LDV. Most of our customers are from the Preston, Leyland, Southport, Blackpool, Blackburn, Liverpool, St. Helens, Wigan, Bolton and Lancashire but we have a growing customer base from all over the UK. We have a limited number of campers for hire and rental - with prices from only £250 plus VAT. All our Campervans for hire come with insurance, breakdown cover and gas bottle. We usually have a selection of new and used campervans for sale which have been converted to our most popular styles and designs. Please contact us for our latest list of campervans for sale. 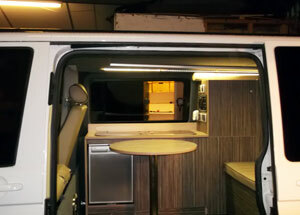 We supply full or part campervan conversions and bespoke campervan conversions to your specification. Our services include windows, glass, pop-up roofs, interior units & cupboards, seats, electrics, interior trim, flooring, water tanks and awning rails. Please contact us for a campervan conversion price. "The camper we hired was immaculate - just like new. My wife and I had such a good time we really didn't want to come back. We would have no hesitation in recommending Affordable Campers to anyone." 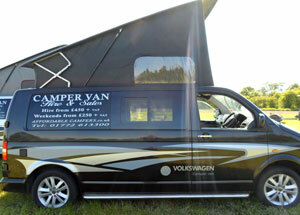 "Just writing to say what a great time we had in the VW campervan we hired from you last week. The van was superb and we are seriously thinking about buying one from you now." © Affordable Campers, Preston. Web Design and SEO Services by WebsitesNorthWest.